Well dont get all excited and rush to Bombay Central to check it out. Its still at least 6 years away in the making. 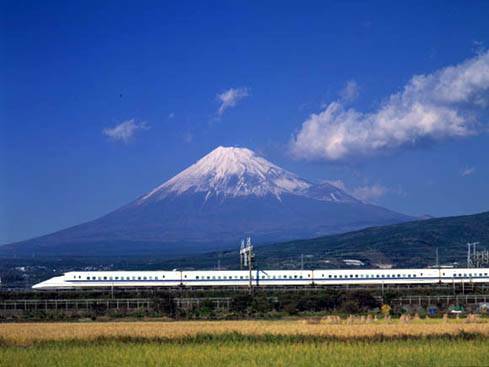 However yes there are plans to run the Bullet Train from Bombay to Ahmedabad at speeds exceeding 250 Kms per hour, making the cities just a couple of hours apart. And now there are plans on offering the same service between Bombay and Pune too. That would make Pune just a 45 min train ride away. Cool eh ! So anyways, till you wait for the Bullet Train to pull in, take a flight to Tokyo, Japan and speed away. !! Apartment Ownership and School AdmissionsZunka Bhakar Anyone ?